Porsche Design and Elan Skis have collaborated to introduce a unique, cutting-edge alpine ski with distinction: the Porsche Design Elan Amphibio. 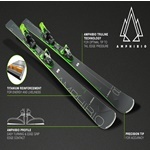 This ski introduces the next level of ski design – manufactured in the Alps with carbon body parts, a carbon binding plate paired with the award-winning Amphibio Truline Technology combining a camber and rocker construction for the perfect turn. 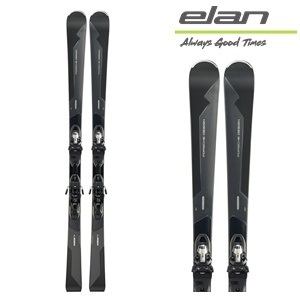 The sleek, all-black, high-end skis are made for expert skiers who demand ultimate performance, style and functional design on the slopes. To design a unique ski like the Porsche Design Elan Amphibio it takes unique materials and construction like a special Carbon plate under the new Fusion X system to give the ski a performance feel like no other. Elan is proud to collaborate with Porsche Design for 2019/20. Every Porsche Design product stands for extraordinary precision and perfection, boasts a high level of technological innovation, and seamlessly combines intelligent functionality and puristic design. The new Porsche Design Elan Amphibio is the ultimate combination of design excellence and on snow high performance. 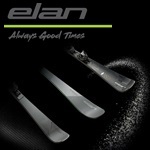 BINDING: EMX 12.0 GW Fusion X BLK/MET.